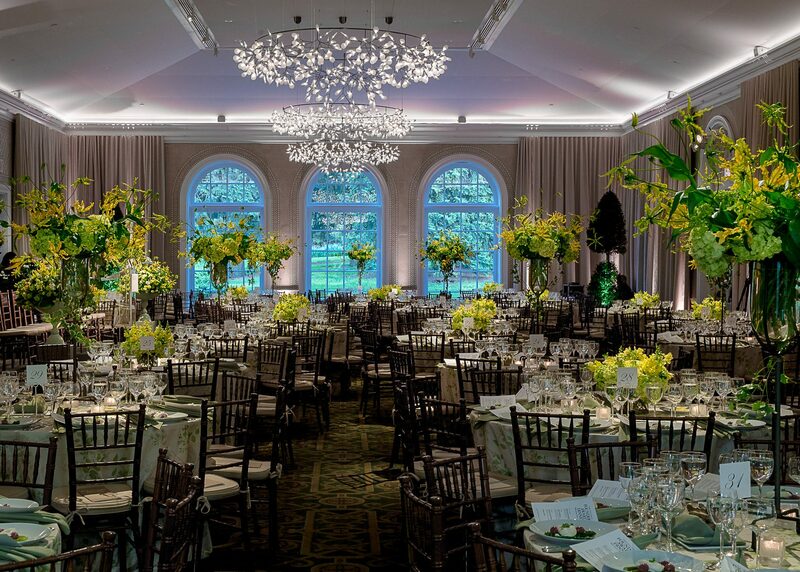 Our perfectly redesigned Garden Terrace Room—with expansive window featuring views of the Garden, sparkling chandeliers, and state-of-the-art lighting—lends a modern elegance to your special day. Outside the main ballroom, a beautiful tent gives guests a chance to enjoy cocktails outside while taking in the lovely surroundings. The Gardens frame the space in magnificent displays, accenting the romantic atmosphere with exciting bursts of color.